Meant to post this photo first but it slipped my mind. 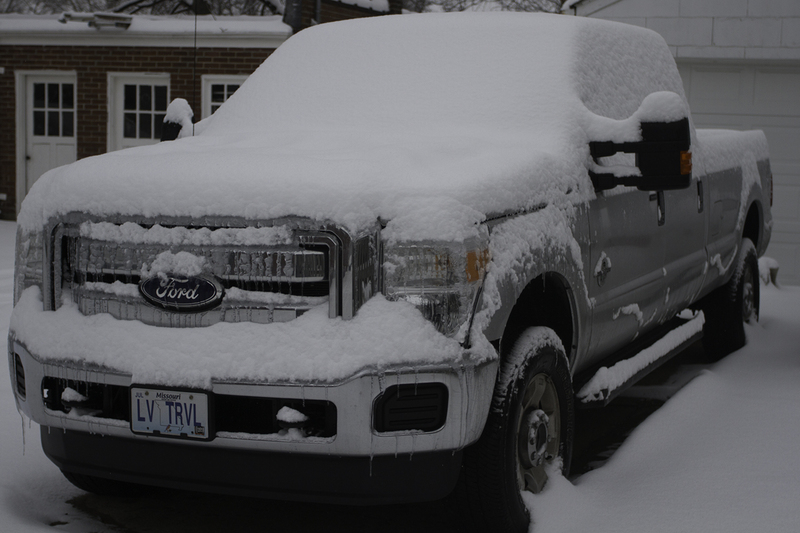 This was what the truck looked like the morning before we picked up the new Montana. We had about five inches of new snow at home with a little ice mixed in for fun. By mid-afternoon the snow had stopped and the Department of Transportation had cleared the roads. So we were able to go to the dealer even though we were prepared to do the pre-delivery inspection and take the trailer home later in the week. Luckily the next morning we woke up to sunny skies and temperatures that were at least a little warmer. Now we are looking at temps in the high 50’s or 60’s this weekend. What a change a few days can make.